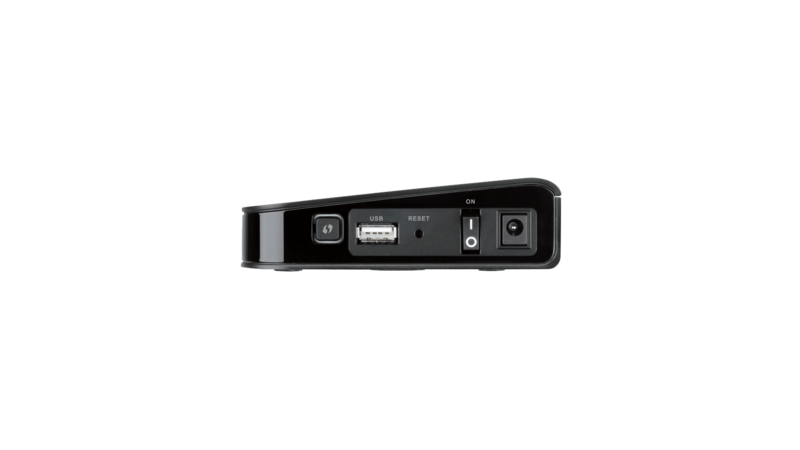 The DSR-150N Wireless VPN Security Router is an all-in-one networking solution for small businesses as well as branch offices. The integrated high-speed IEEE 802.11n wireless technology offers comparable performance to traditional wired networks, but with fewer limitations. 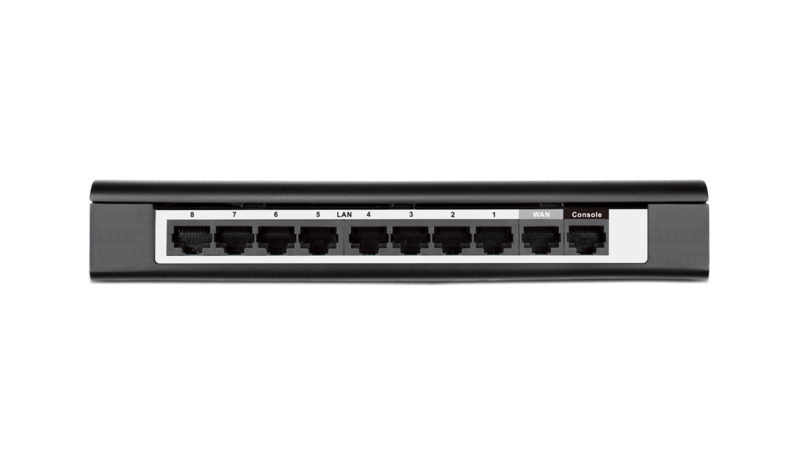 The DSR-150 provides optimal network security via features such as Virtual Private Network (VPN) tunnels, IP Security (IPSec), Point-to-Point Tunneling Protocol (PPTP), Layer 2 Tunneling Protocol (L2TP), Generic Routing Encapsulation (GRE)1, and Secure Sockets Layer (SSL). It also allows you and colleagues to stay connected to the office with clientless remote access anywhere and anytime using SSL VPN tunnels. 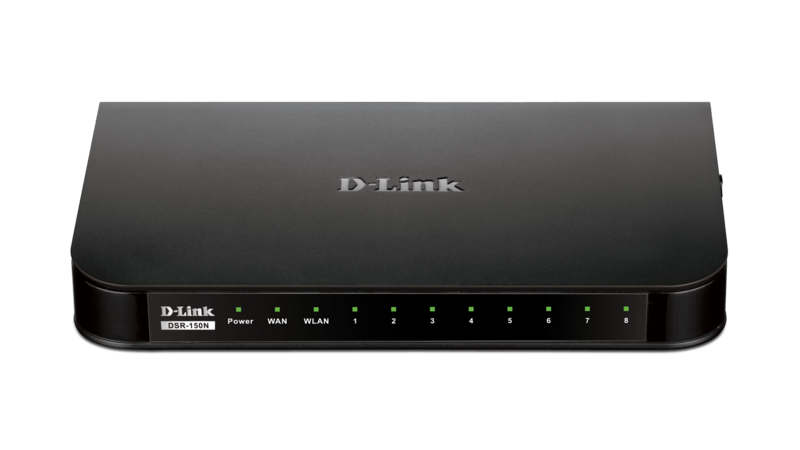 The DSR-150N Wireless VPN Security Router is an all-in-one networking solution. Integrated high-speed IEEE 802.11n wireless technology offers comparable performance to traditional wired networks, but with fewer limitations. Support for separate Virtual LANs (VLANs) means the network can be partitioned, for instance to enable visitors to connect to the Internet without giving them access to the full corporate network. With 3G mobile Internet connectivity support via an optional 3G USB dongle3. This 3G network capability offers the ability to stay connected when wired Internet is not available or as a backup if the wired Internet connection fails. This affordable, high performance router also enables businesses to secure their network whether in the office, at home or out on the road. You and your colleagues can stay connected to the office anywhere, anytime. Complete VPN features, as well as IPSec Hub and Spoke technology, ensures secure communication between mobile employees and offices. A fully featured virtual private network (VPN) provides your mobile workers and branch offices with a secure link to your network. 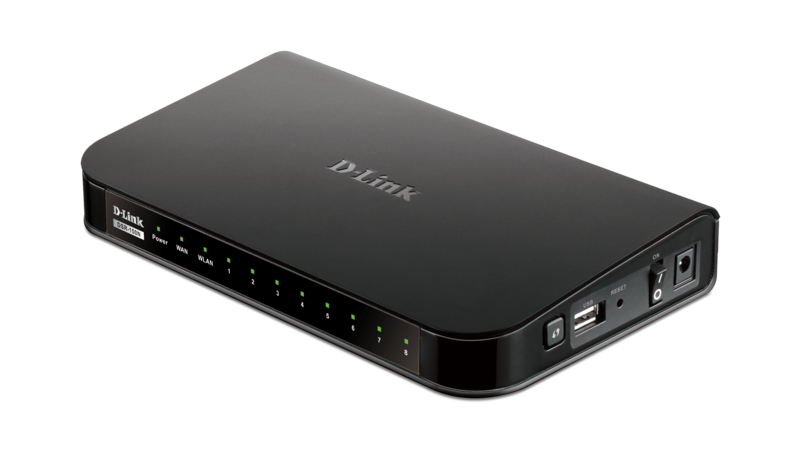 D-Link Green Wi-Fi and D-Link Green Ethernet features save power and help cut energy usage costs. 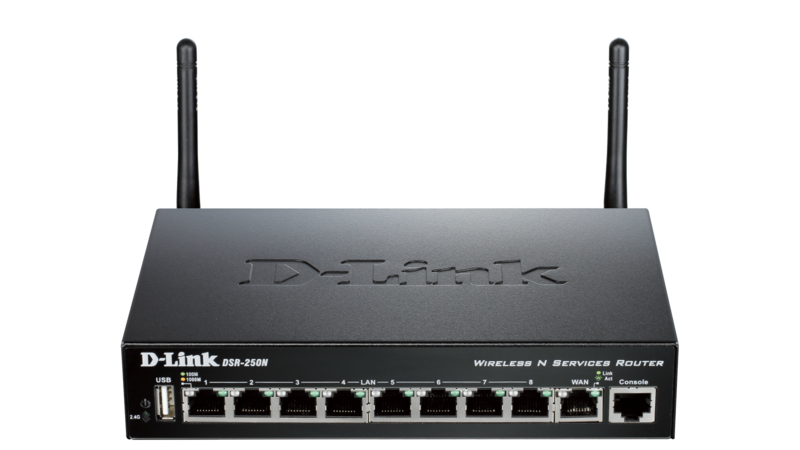 The D-Link Green WLAN Scheduler shuts down your wireless network automatically according to a schedule you define, allowing you to turn it off during off-peak hours, saving energy and keeping your network secure. 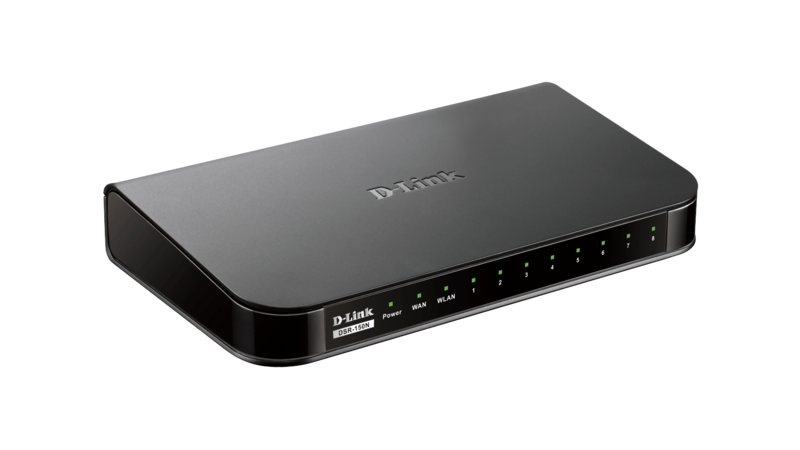 The D-Link Green Ethernet feature can detect if a link is down on a port, and automatically puts that port into a sleep mode that drastically reduces the amount of power used. In addition, compliance with RoHS (Restriction of Hazardous Substances) and WEEE (Waste Electrical and Electronic Equipment) directives make D-Link Green-certified devices an environmentally responsible choice. 1 Available through future firmware upgrade. 2 Maximum wireless signal rate derived from IEEE Standard 802.11. Actual data throughput will vary. Network conditions and environmental factors, including volume of network traffic, building materials and construction, and network overhead, lower actual data throughput rate. Environmental factors may adversely affect wireless signal range. 3 The following 3G dongles are supported: DWM-152 A1/A2/A3, DWM-156 A1/A2/A3/A5*/A6*, DWM-157*, Huawei E1550, E173, and EC306. * The dongles marked with * will be supported through firmware upgrades.